All prices are for a full day rental. Deliveries are made between 8 am and noon. Pickups are from 7 pm until dark. Party times are noted at the time of reservation and we guarantee delivery 30 minutes prior to the start of your party. We will make every attempt to accommodate special circumstances. We pride ourselves in the cleanliness of our units. Each unit is cleaned and sanitized several times per week. 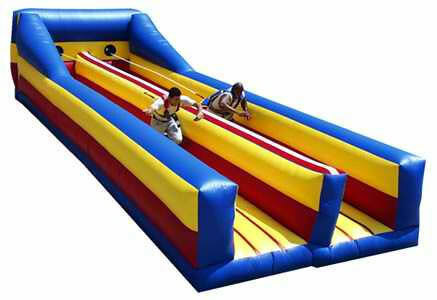 30'L x 20'WPartygoers will love the chance to try the inflatable version of the Gladiator Joust. 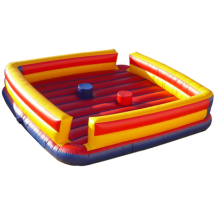 This game puts two gladiators doing battle in an inflatable arena on foam-padded pedestals The gladiators attempt to win by using oversized joust poles to knock the opposition off their pedestals. One of our favorites for participants and the crowd cheering them on to victory! 360 Degrees of Rollicking Fun - Two contestants start at the same time with a mad rush to dive into the TurboRush, slither through the log jam, negotiate the pop-up forest, round the bend, scramble up 18 feet to the peak and whoosh down the slide to victory (or at least 2nd place). This is an excellent event-sized obstacle course which can draw a big crowd of participants and spectators. 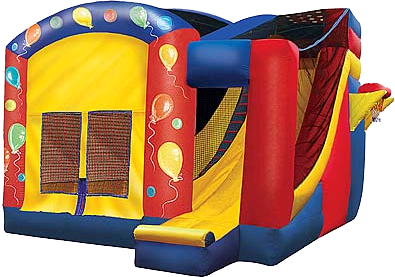 If you have a big backyard, we'll bring you the most amazing inflatable imaginable for your family party at home. Perfect for Playground Competition and Fun! - Imagine the thrill of racing through 40 feet of pop-ups, walls, logs and tunnels! A crowd favorite, especially with older kids and adults. Two racers go head-to-head to see who can make it the farthest down the lane before being pulled back by the bungee harnesses! Make your children royalty for the day! 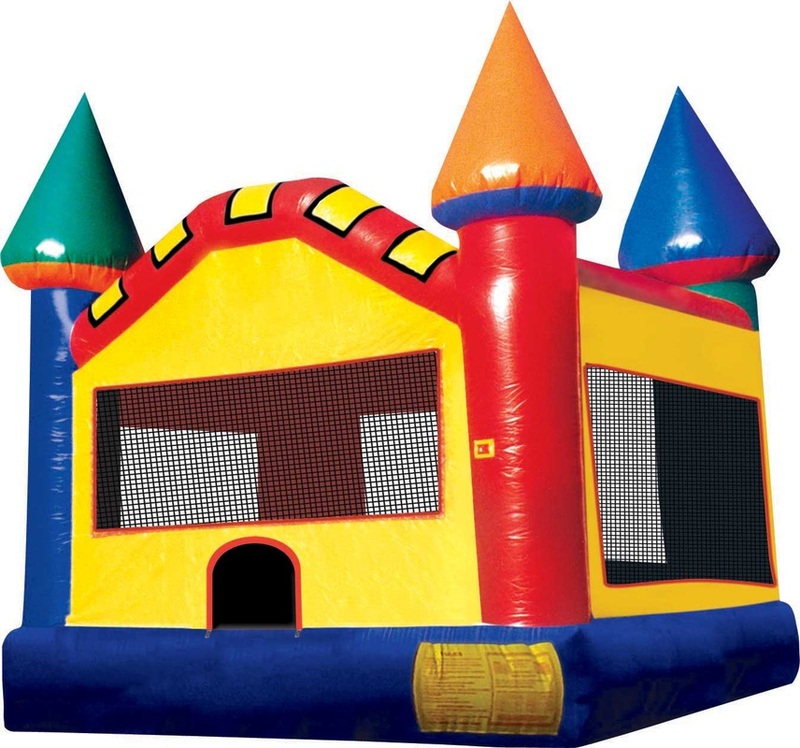 This colorful Castle Moonwalk promotes safe, healthy fun for any young prince or princess. Who will be the ring champion? 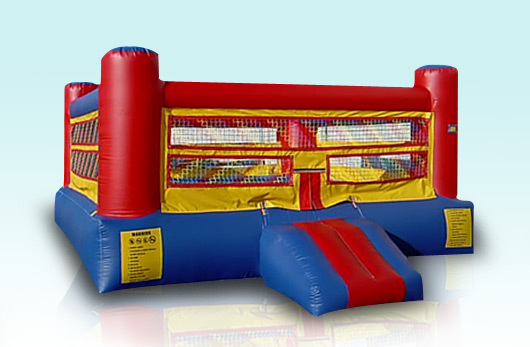 Get inside our inflatable Boxing Ring Bounce House and find out! 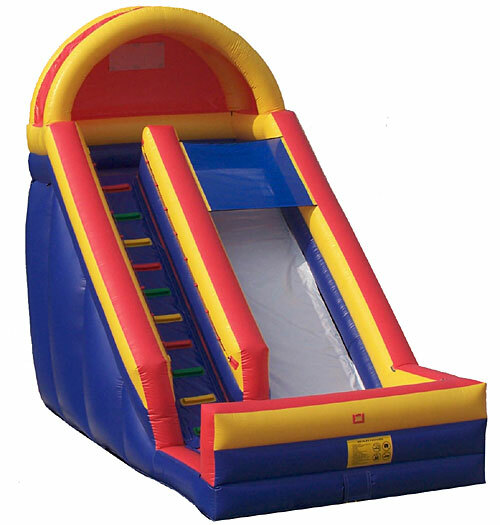 This unit can double as a sole Bounce House or an interactive sport unit. Bounce N Box is fun for all ages. Boxing Gloves available to rent with any inflatable for $80. The attention-getting dry slide is sure to bring everyone running and keep them sliding at your next event! Participants can climb up 18 feet for a sleek and fast drop to the cushioned bottom, guaranteed to satisfy thrill seekers young and old. Do you want to make a splash at your next party? Our sturdy, supersized dunk tank holds 550 gallons of water, for the ultimate in water fun! 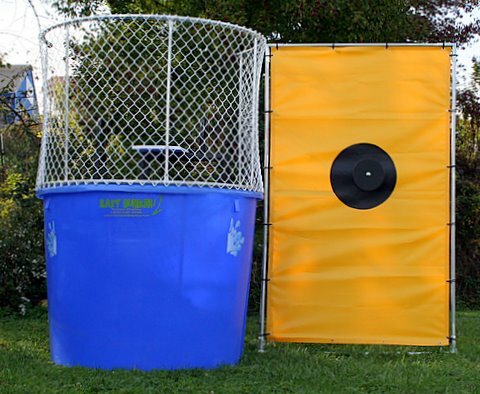 Great for private parties (dunk your dad or favorite uncle) or corporate events (dunk your boss!). * Please allow 1 hour to fill.